We pride ourselves on attention to detail & great customer service. Our skilled bartenders shake & stir the most infamous cocktails in town with their own flair. All of our drinks are carefully selected by our experienced teams to give you both quality & choice that we feel you deserve. Our rustic home cooked food is prepared by our team of creative & contemporary chefs. Here at Fat Cat we cater for all parties & occasions no matter how big or small. All to be enjoyed in a relaxed intimate surroundings. So take a minute, sit back & ENJOY. Food is available all day, seven days a week. All dishes are prepared from fresh ingredients by our vastly talented chefs. The bar plays host to an extensive range of bottled and draught beers, wines& stocks numerous spirits. We are renowned for the quality of our cocktails and produce an impressive list that changes with the seasons. If its a bit early in the day for a French Martini, we have a selection of luxury hot drinks. Pasta, Pizza & Prosecco – Every Thursday from 6pm, enjoy two courses & a glass of Prosecco for only £13.95. 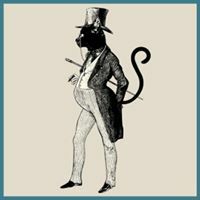 The Fat Cat – Don’t forget to show us your Cathedral Quarter card to receive 20% off drinks 7 days a week!